Browse our low-priced flights to Auckland from Globehunters. Experience the fantastic city of Auckland and the breath-taking natural scenery that New Zealand has to offer for as low as possible with Globehunters. 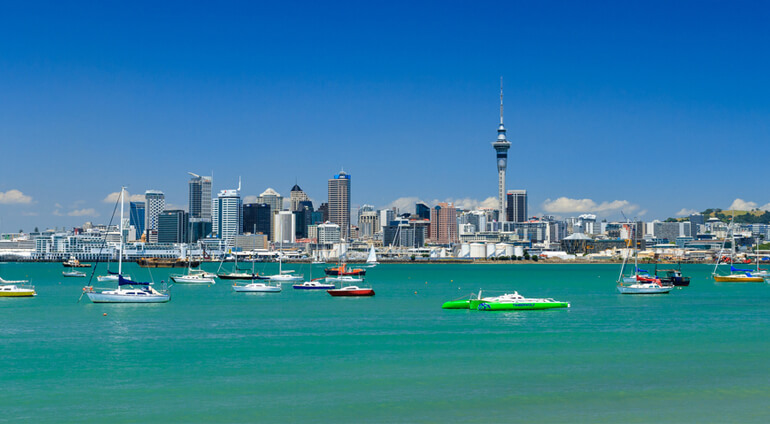 Located 20 minutes outside the city centre, Auckland Airport is New Zealand's busiest airport. If you want to get away from the hustle and bustle of Sydney, Auckland is only a 3 hour plane ride away. With Globehunters, you can always get the best deals on flights and hotels all year round. Auckland is a domestic and international hub for many airlines and is a stone’s throw away so book now to avoid disappointment.